Genome defense mechanism in plants epigenetically inactivate repetitive sequences and exogenous transgenes. An epigenetic inactivation mechanism of intronic T-DNA sequence, termed T-DNA suppression, has been observed in Arabidopsis thaliana. However, the molecular basis of establishment and maintenance of T-DNA suppression is poorly understood. We have demonstrated that in Arabidopsis, T-DNA suppression by introgression of additional T-DNA sequences is provoked by RNA-directed DNA methylation pathway (Osabe et al., 2017). 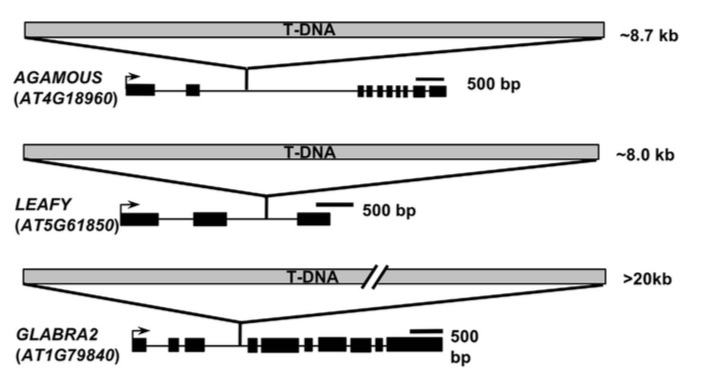 Suppression of intronic T-DNA is associated with massive DNA methylation throughout the T-DNA insertion sites. Stable maintenance of T-DNA suppression was observed for more than 5 generations, that requires IBM2 and other epigenetic modifiers such maintenance methylase MET1 and chromatin remodeler DDM1. This mechanism parallels the masking of intronic TEs IBM2, and suggesting the presence of a genome surveillance mechanism that masks repetitive DNAs intruding into transcription units. Figure 1: Suppression of T-DNA inserted in AGAMOUS (AG) and LEAFY (LFY) genes. 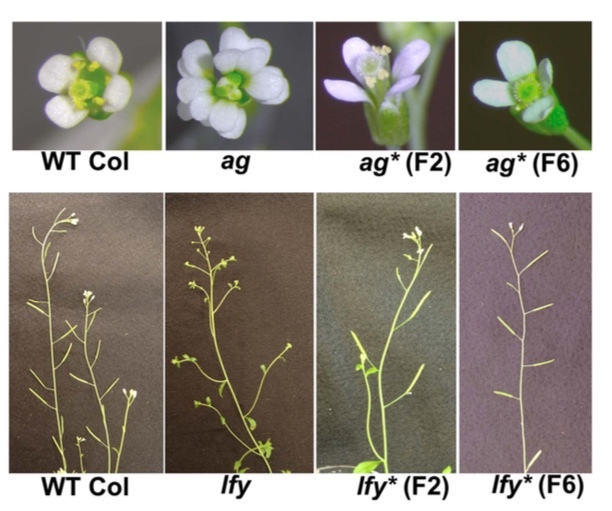 The suppressed ag* and lfy* plants show wild-type flower phenotype even though the presence of >8 kb T-DNA insertion in introns. These suppressions are restored in ibm2 background. (Review) Espinas NA, Saze H, Saijo Y. (2016). Epigenetic Control of Defense Signaling and Priming in Plants. Front Plant Sci. 2016 Aug 11;7:1201. doi: 10.3389/fpls.2016.01201. (Invited lecture to graduate students) Saze H. Epigenetic Regulation of Genes and Transposable Elements in Plant Genomes. Sokendai, Hayama, Kanagawa, Japan. February 7, 2017.